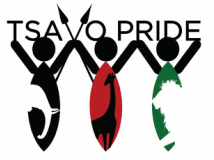 Tsavo Pride works to create thriving communities within a healthy environment. We begin at the grassroots to reduce trophy & bushmeat poaching and to nurture community ownership of the wildlife of Tsavo. We assist communities who live side-by-side with wildlife by improving living standards and reducing conflict with wildlife. Utilisation of the knowledge former poachers and bushmeat traders allows us to transform local attitudes towards bushmeat consumption and other environmental degradation. Communities are our most powerful ally in the fight against poaching. You can download our 2012 achievements to find out what we got up to during our first year of operation.